This guide will walk you through how to setup the Dynamic Update Client and explain the additional preference settings that are available. 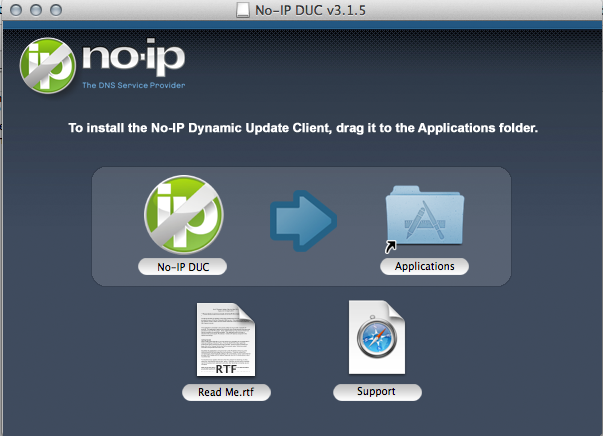 You will need to first go to http://www.noip.com/downloads and download the Mac version of the DUC. After the file has downloaded, go to the top right corner of your screen and click the finder button and search for “noip”. When you have found the correct application, click it to open it. 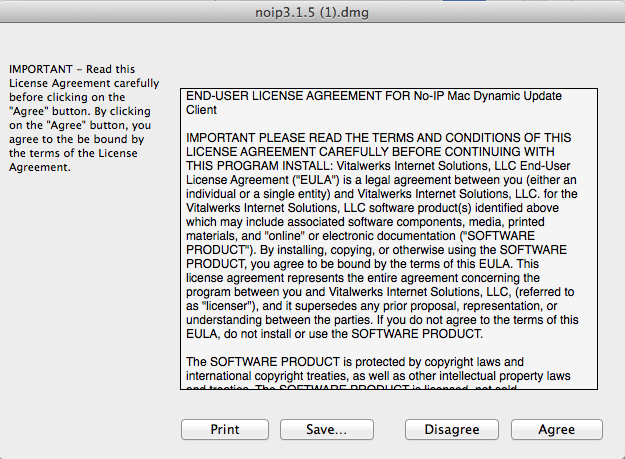 Read the License Agreement and click Agree to the EULA and the TOS Agree to the terms of service. 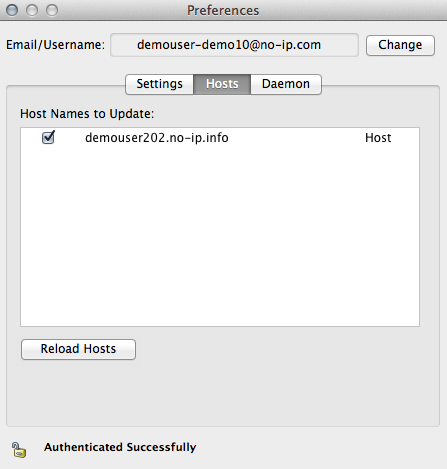 Click and hold the No-IP logo and drag it over to the Application folder that is located in the same box. After you drag the No-IP icon into the “Applications” folder, double click the “Applications” folder to open it. Find the No-IP DUC in the list of applications and double click it. You will be prompted to login. Enter your No-IP email and password. If you have not created an account with us, follow the Getting Started Guide. When logging in for the first time you are asked to select the host or group that you would like to be associated with this client. You can edit this any time by clicking “No-IP DUC” in the top left corner of your screen and then click “Preferences” then click the “Hosts” tab. After you have selected your hosts and saved your settings everything is done and your hosts should be updated when your IP address changes. Minimize the application and you are all done with the installation of the Mac Dynamic Update Client. 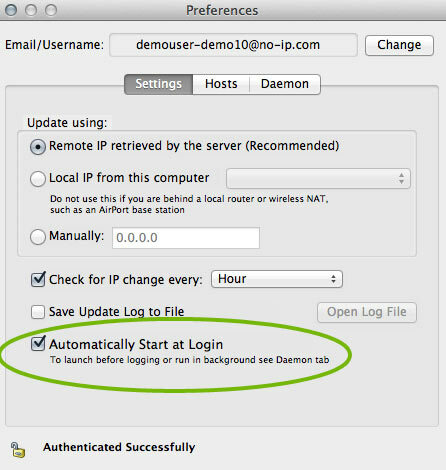 Please Note: The daemon feature does not properly start on 10.8 and 10.11. We are working to create a new Mac DUC.